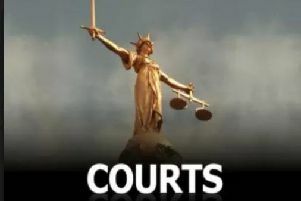 A man and woman accused of taking part in a burglary at a house in Boston will go on trial at Lincoln Crown Court. Arkadiusz Arlak, 33, denied two charges of burglary at an address in Spilsby Road, Boston, when he appeared at Lincoln Crown Court. It is alleged Arlak, of Fydell Street, Boston, stole a microwave and jewellery to a value unknown from the property between 17 September and 3 October, this year. It is alleged Golik-Szpura stole an Epson printer from the same house in Spilsby Road between 17 September and 3 October, this year. Judge Simon Hirst adjourned the case for trial at Lincoln Crown Court on 8 May next year.